We explore why it's important to make getting referrals and reviews part of your process. Every business can use more customers. For some, it’s a mystery or old school thinking that makes it more difficult than need be. Getting more customers comes down to a few things. You either earn them, or pay to play. Businesses that thrive the most are often the ones that understand the most influential element for driving customer acquisition isn’t advertising, SEO, social media, content strategy or the latest marketing spin. Referrals from word of mouth are an endorsement from personal connections, typically a small network of people. With it comes some trust. Scaling leads to generate customers is often costly and prohibitive when advertising. But what’s a business to do when they want more clients? There’s one perspective businesses don’t always see, at least not at first. When you look at marketing, it means many things to many people. Ultimately, it’s about sales. How it’s accomplished has an endless amount of possibilities, but we’ll keep it simple. Whatever business you’re in, customer service is paramount. It’s one of the most important parts of your business, and has an enormous influence on sales. It’s part of a cycle. Happy customers often return, and many tell others about your business. But leaving things to chance isn’t your best move. To get results, businesses need to be proactive and go after reviews by requesting them. 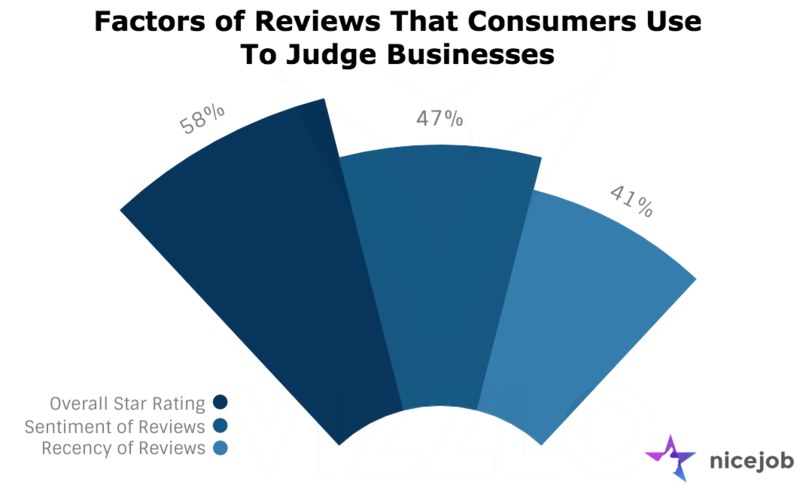 According to one study, only about 13% of small businesses ask for reviews. Many say they don’t think it’s appropriate to ask or don’t have an easy way to get reviews. But to put it plainly, when you request reviews, you increase your odds of getting them. Most customers are happy to provide a review when asked. The trouble is, most do not ask. Here’s another thing to consider concerning reviews. While word of mouth referrals are within a small network, it’s online reviews that create much more visibility. The more positive reviews you have, the more likely it is that customers find you, because they not only improve your visibility in Google My Business listings, they also help with SEO. While word of mouth is great, online reviews take things to the next level. It’s digital word of mouth, on steroids, increasing your chances of referral traffic and ability to acquire even more customers. Many customers are willing to provide reviews. At the same time, most need to be asked more than once. People are busy, and while they mean well, aren’t always available when you ask and often forget. Imagine this scenario if you wanted to take control of your online reviews manually. You send just 3 requests a day, between Monday to Friday. The next week you do the same. But you also need to send reminders, so from all the people that you invited or requested to provide a review need a follow up reminder. That first week, with a minimal 3 requests a day, is 15 reminders. Unless someone provided a review, which can happen, most will need a reminder or two. So if you send 15 requests in a week, which is on the low side, and you’re 3 weeks into the process, you now need to send reminders for the past requests. Without getting too deep into the math, that quickly becomes 50 emails to send per week. With review management automation, NiceJob makes it easy. You only send review requests and invites, we do the rest. More review invites (and reminders) equal more completed reviews. With more reviews, your visibility improves, and you start to see more reviews and sales. While more than three quarters say they are willing to provide a review, only about a third eventually do. If you only ask once, that probably drops to less than ten percent. 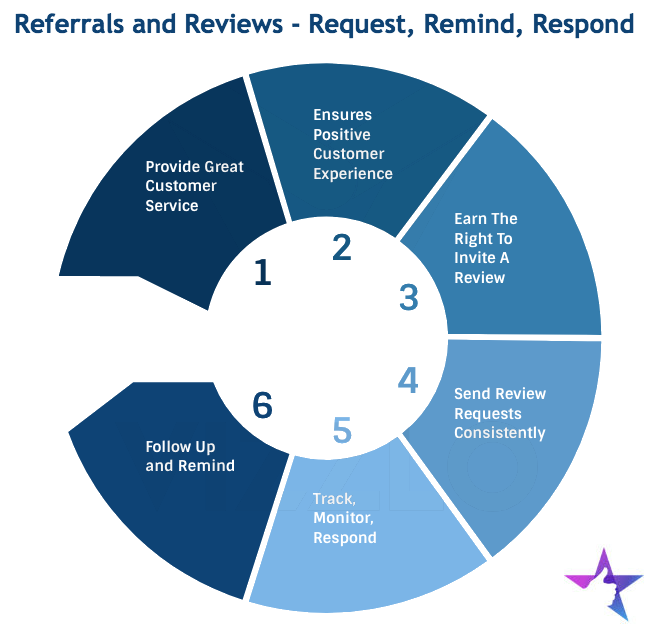 For the cycle to work effectively, you need to stay on top of sending out review requests and invites, because consumers look for a few things, and it’s not just the star ratings. 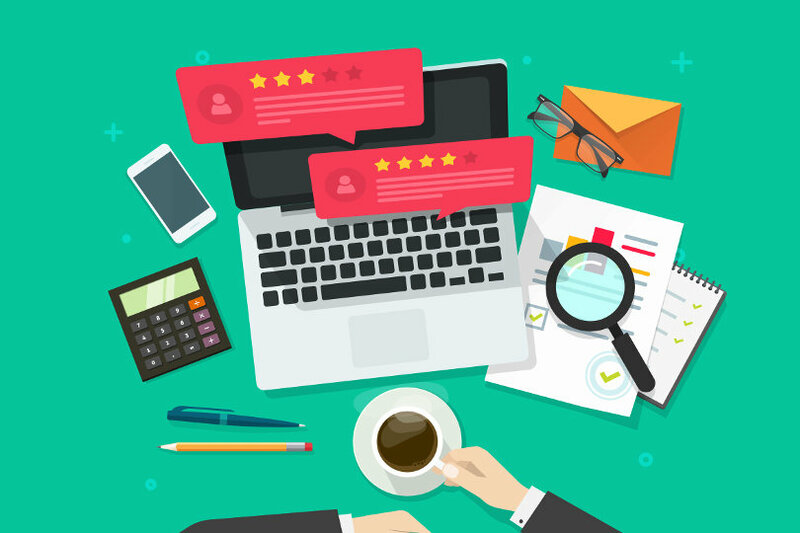 When consumers look at review websites, they’re looking for social proof to help validate a decision about giving their business. The most important factors considered are the star ratings, overall sentiment, and recency of the reviews. It’s also a growing concern from consumers that businesses respond to reviews. Another consideration is customers that are referred by other customers are over a third more likely to have a strong retention rate. The power of word of mouth. If you want more referrals and reviews, it's essential to make it part of your process. That means sending requests often, and practically every day. Look at it this way - for every customer you have, that's a review request. Yes, every single one. You also want to monitor, more than once a week, what is being said and respond to reviews. In most studies, the ideal response time is within 24 hours. How many reviews should you reply to? All of them.Yes, every single one. But it's important that you absolutely do not "phone it in" with canned responses. Take the extra minute to personalize the message. It's not just your customer that you're responding to, it's everyone looking. Doing so professionally will indirectly result in more reviews being left, as well as more conversions.